Being a masterful tactician, Batman wants to take advantage of his opponent's every weakness in battle. Too bad there just aren't many weaknesses of Superman. Though Superman's most famous weakness is Kryptonite, Batman's Kryptonite-laced weapons may still not be enough to help him win. A lesser known weakness of Super is the red sun. The red sun on Krypton is much less radiant than the yellow sun on Earth, which is why native Kryptonians aren't naturally as strong as Superman. It is only because Superman grew up on Earth that his powers are acquainted to and magnified by our powerful yellow sun's radiation. Without a yellow sun, Superman's powers will be temporarily weakened. Even for Batman, it is quite near impossible to block out yellow sun radiation altogether. However, Batman believes that if he is able to temporarily convert the yellow sun radiation to red sun radiation, then he will be able to weaken Superman to the same effects. With the help of Lucius Fox, WayneTech was able to secretly develop a device to perform this exact conversion. 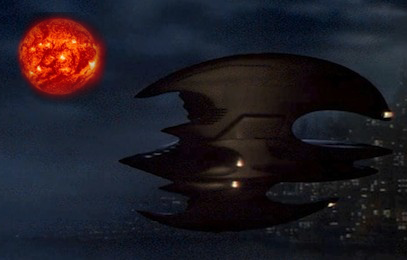 This sophisticated technology, known as the Red Sun Simulator (RSS) will be installed onto the batplane which will idle in the sky during their fight. When the time is right, the device will continuously diffuse electromagnetic waves that will create an interference pattern with the electromagnetic radiation of the sun. The radiation generated by the RSS should be at precise frequencies so that the resulting wave exactly matches the frequency of the red sun of Krypton. Unfortunately for Batman, the frequency of solar radiation is going to be constantly changing due to small factors such as atmospheric conditions and their altitude. Due to these constraints, the ability of the RSS to produce waves at a certain frequency will also be limited. The masterful tactician he is, Batman has planned out how every moment of the battle is going to go down. In particular, he predicts that there will be N (1 ≤ N ≤ 50000) minutes in the entire battle. During the i-th minute, the frequency of the solar radiation is forecasted to be Fi (1 ≤ Fi ≤ 109) megahertz. In order for Superman to be weakened by red sun radiation during minute i, the frequency produced by the RSS must be a multiple of the solar frequency during that minute. In minute i, the RSS will randomly produce a frequency from a set of Mi (1 ≤ Mi ≤ 5) intervals. The j-th of these intervals will consist of the integers from Ai,j to Bi,j (1 ≤ Ai,j ≤ Bi,j ≤ 109) inclusive, meaning that during minute i, the RSS is capable of emitting radiation at any one frequency from Ai,j megahertz to Bi,j megahertz for any j from 1 to Mi. For each minute i, the Mi intervals will be non-overlapping, meaning that any integer will be part of at most one of the intervals. Batman is interested in whether he can weaken Superman for a particular number of minutes in total. Thusly, he wants to answer Q (1 ≤ Q ≤ N + 1) questions, where the i-th question is: "is it at all possible to weaken Superman during exactly Ti minutes of the total N minutes of the battle?" (0 ≤ Ti ≤ N). Please write a program to analyze the solar data and answer Batman's queries. In cases worth 20/30 of the points, Fi ≤ 100 and Bi,j ≤ 100. In a subset of those cases worth 10/30 of the points, N ≤ 8. The first line will contain two space-separated integers N and Q. The next N lines will each start with 2 space-separated integers Fi and Mi, followed by Mi space-separated pairs of integers Ai,j and Bi,j (for i = 1..N and j = 1..Mi). The last Q lines will each contain a single integer Ti (for i = 1..Q). Q lines with one character per line. The i-th of these lines is "Y" if Batman can weaken Superman using simulated red sun radiation during exactly Ti minutes, or "N" otherwise.